The First Day of School: These Absolute Musts will Pay Off Big Time! The procedure outlined below for the first day of school is one that I have found to be highly effective. It will certainly not fit everyone's style or approach, but the basic elements are all there. Meeting and greeting the kids, getting everyone in their assigned seats, and matching names with faces are paramount priorities. How you supply the "Wow! Factor", the tone that you set, and the work that you provide are highly individualized matters. Additionally, I would strongly urge you, particularly if you are brand new to the classroom, to consider putting into place a strong classroom management system. The sooner you start such an initiative, the better. 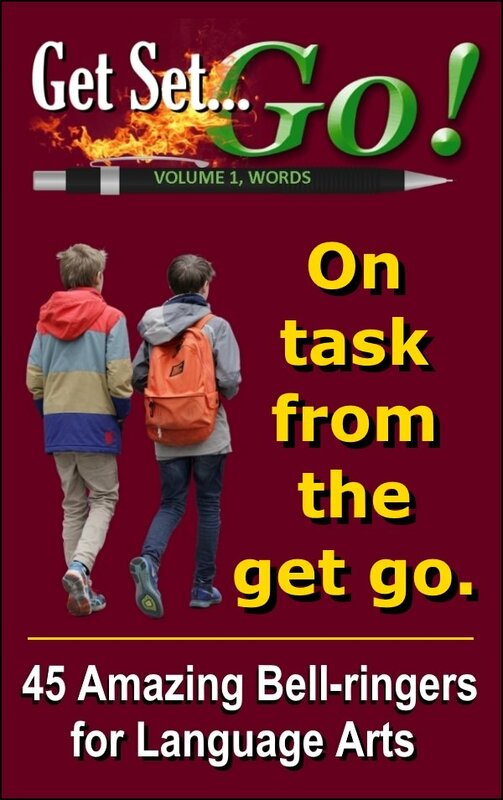 For reasons that will become apparent further down this page, you won’t have much time to devote to instituting a classroom management system on the very first day. However, no later than the second day, begin putting your management structure into place. One way to approach this is by using the CHAMPs Classroom Management System—it’s certainly not the only way, but it’s an excellent starting point. If you are considering using the CHAMPs System, you may be interested in downloading the 10 free CHAMPs Classroom Signs that support this initiative (or the entire collection of 100, for that matter) by following this link or the one in the product image above. Your success on the first day of school is imperative, and as they say, you never get a second chance to make a good first impression. Greet each kid who comes to your door with enthusiasm and a firm handshake -- even if you have to fake your enthusiasm and you don't really want to shake their hands. I know that some teachers actually prepare name tags or markers that they place on individual student desks to ensure that each student has a place to sit on the very first day of school. Although this is a good idea, it is terribly time-consuming, and often there is not enough time to complete that task before the first kids begin arriving. 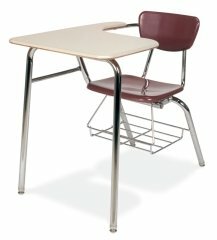 As a result, I have always allowed my kids to sit anywhere they choose on the first day of school, but only for the first few minutes of class. 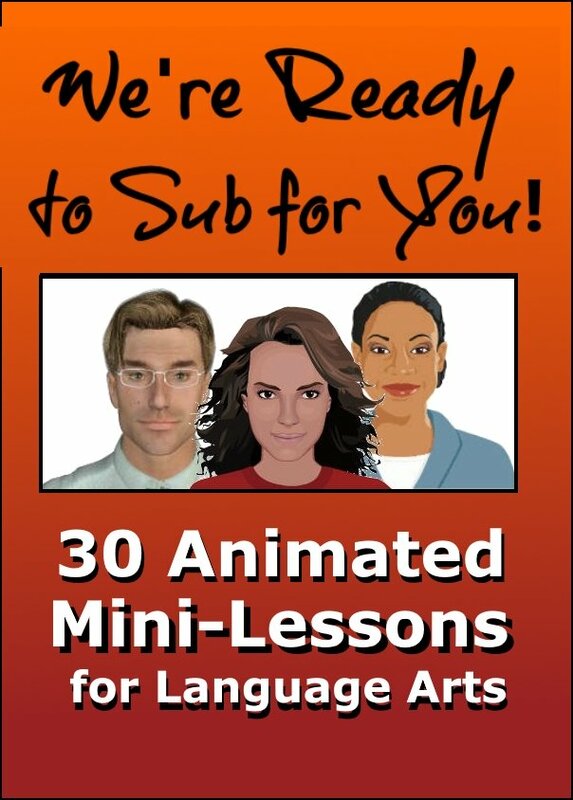 As I am greeting students at the door and shaking their hands, the kids walk into my classroom where they immediately see and hear a looping PowerPoint presentation, featuring an animated talking character named Paul (see http://www.voxproxy.com for more information). I use a digital projector for this presentation, so Paul is almost life-sized. Paul welcomes them to class and ensures them that Mr. Manis will be with them right after the bell rings to start class. Paul directs them to begin a warm-up activity. Their task is simple: write as many words as they can think of that can be derived from the full name of the school. He then proceeds to give them several examples. After a couple of minutes, Paul "notices" that students are still arriving in the room. So, he explains that he should back up and say what he said before, to make sure all students know what they are being asked to do. Then, the presentation loops and begins again. When the bell rings, I walk into the room, look at the kids, and then begin watching Paul myself, intently. When Paul mentions Mr. Manis again, I acknowledge that I am, in fact, Mr. Manis. Wow! Paul and I have them, right in the palms of our hands! It's the first morning of the first day of school. 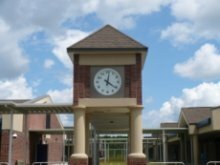 The tardy bell rings and after a brief pause, a voice over the intercom in the classroom asks students to stand for the Pledge of Allegiance. Then, we have morning announcements followed by a long welcoming message from the school principal. By the time the principal concludes, the only thing I have said to the kids is that I'm Mr. Manis. Now, it's my turn for my welcoming message to them. As part of my welcoming message, I set the tone for the school year. I explain to the kids that what Paul and I are asking them to do will become their first grade in my class for the new school year. I tell them that I am deliberately giving them a task that is simple enough that everyone can be successful on the very first day of school. I also explain that the longer their list of words, the higher their grade will be. I have established the tone. I have provided the motivation. If your school is similar to most, as far as procedures are concerned, your kids will arrive in your classroom with pre-printed schedules on the first day of school. Hopefully, you will not have to sign each individual schedule. But if you do, you will have to adapt the time available to complete the task, as it is rather time-consuming. In my case, I just ask the kids to look at their schedules and insure that they are in the right class at the right time of day. In doing this, I invariably find students with hand written schedules whose names I have to add to my class list. While I'm doing this, I remind the class that they should be working on their list of words. The sooner you attach the face to the name, the better off you'll be. To facilitate that process, I begin on the very first day of school. I read the class roll, pausing after each name. After working through any name pronunciation issues, I ask each student to sit in a particular seat that I have pre-numbered on a blank seating chart that matches the classroom layout of my room. While each student moves to the assigned desk, I pencil in the first and last names on my seating chart. Yes, there is student movement during that period of time, but they have a warm-up activity to work on and they usually respond quite well. After I have placed each student alphabetically, I say their names one more time and look at each face to begin making the connection with the kids. I finish by thanking them for their cooperation, and I ask them to sit in the same seat the next time they come to my classroom. I remind them that I'm doing this to learn their names as quickly as possible--and they're good with that. I have expressed an interest in each of them. Homework on the first day of school? Absolutely! It demonstrates that you are in charge and that being a member of your class will require effort. Why is that your favorite subject? Why is that your least favorite subject? Who is the author of that book? What is it that you like best about this movie? I usually do about 20-25 questions, but once again, with a little bit of adaptation, this is an activity that can easily suit any teacher's needs. Assuming that you're working with a class period of 50 to 60 minutes, the first day of school procedure outlined above will take a full class period to complete. However, it's always a good idea to over-plan. In the unlikely event that you have additional time to consume near the end of the class period, you can ask the kids to begin sharing their answers to the questions. If it suits your plans for the second day of school, you could use the results of the personal favorite's assignment as a "get to know each other" activity for the second day of school. At first glance, it may seem that I have not accomplished very much on the first day of school. But, some important battles have already been won here. I have met each student individually. Because students now have a specific place to sit in my class, they have a sense of truly being a member of my class. I have established the tone. I have provided the motivation. I have demonstrated that I am in charge and that being a member of my class requires effort. I have expressed an interest in each student. But, probably most importantly, I have demonstrated that I am a competent, resourceful teacher who wants every student to be successful in my class from this day forward. Again, this specific approach may not suit you all that well. But, if you can find ways to accomplish the same tasks, you will be greatly enhancing your chances of having a successful and rewarding year.